Yeast, salt,water, and flour is all you need to make bread? YEP! 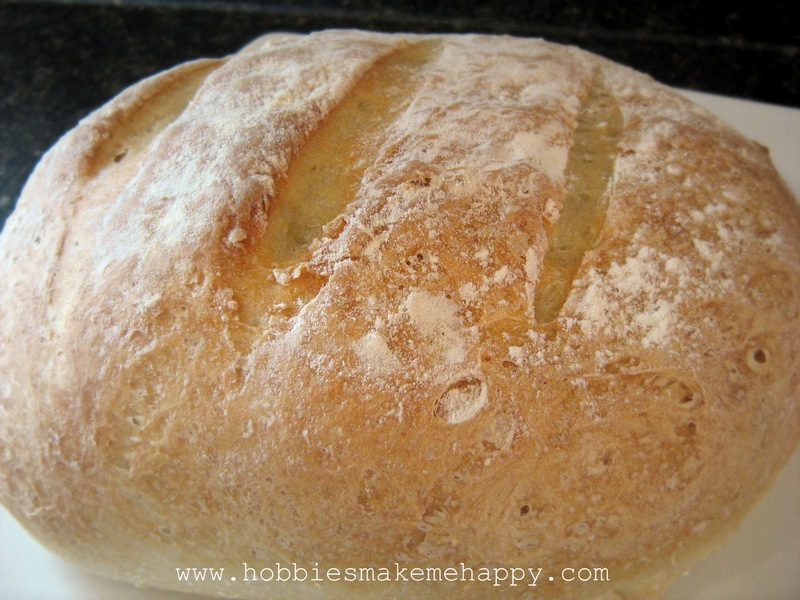 This rustic crusty bread from Mel's Kitchen Cafe was just as described. Crusty, chewy, and delicious! Click on the link for her simple how-to. In a large bowl mix yeast and salt into 3 cups lukewarm water (about 100 degrees). Stir in flour, mixing until there are no dry patches. Dough will be quite loose. Cover lightly with a kitchen towel but don’t seal the bowl airtight. Let the dough rise at room temperature 2 hours (or up to 5 hours). If you don’t have a baking stone, try turning a rimmed baking sheet upside down and heating it in the 450 degree oven for 10 minutes prior to baking. When ready to bake, slide the parchment paper with the dough on it directly onto the overturned baking sheet and bake according to the recipe. You can also stretch the rounded dough into an oval and place in a greased loaf pan. Let it rise for 40 minutes if fresh (add an extra hour if the dough has been refrigerated). Bake in the loaf pan in the 450 degree oven, watching the time carefully – check after 20-22 minutes.